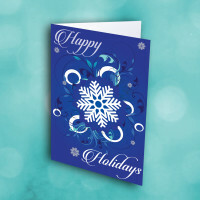 Send some wishes and enthrall those who recieve it with this beautiful snowflake holiday card. 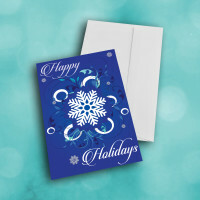 The detailed snowflake in the center is surrounded by delicate leaves, smaller snowflakes, and striking designs, in varying shades of blue; set against the deep-blue background it produces a mesmerising effect. 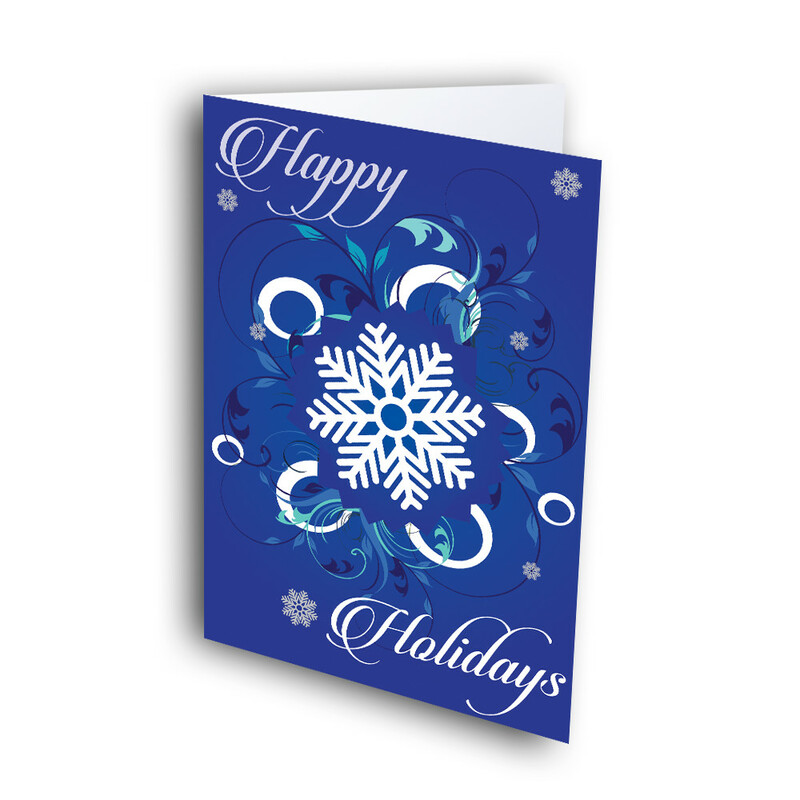 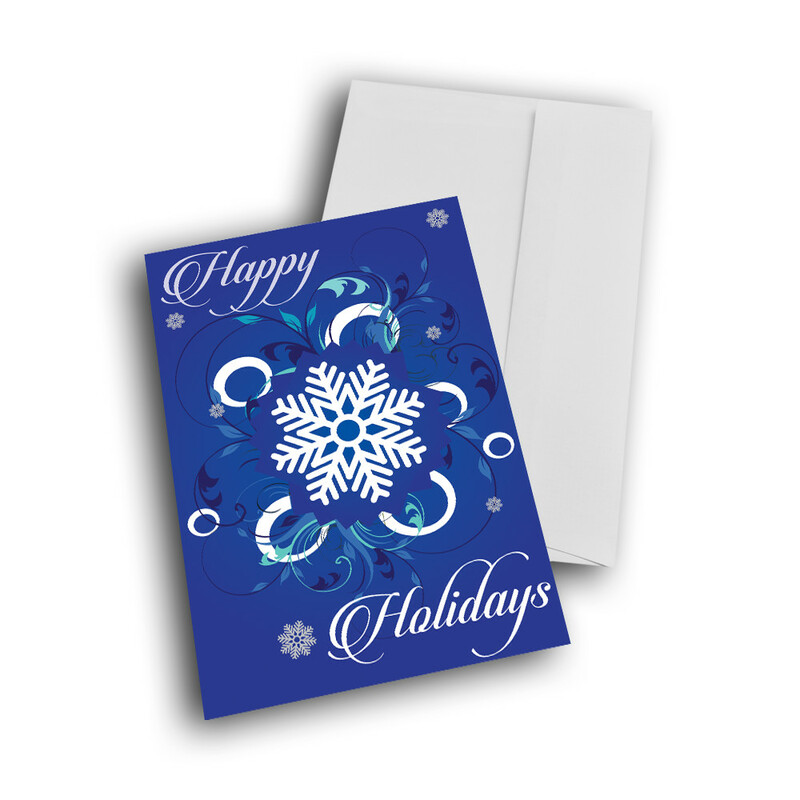 The inside is adorned with beautiful, icy-blue spirals, which also flow above the warm message. 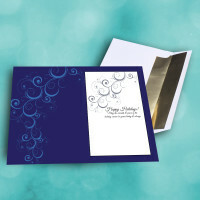 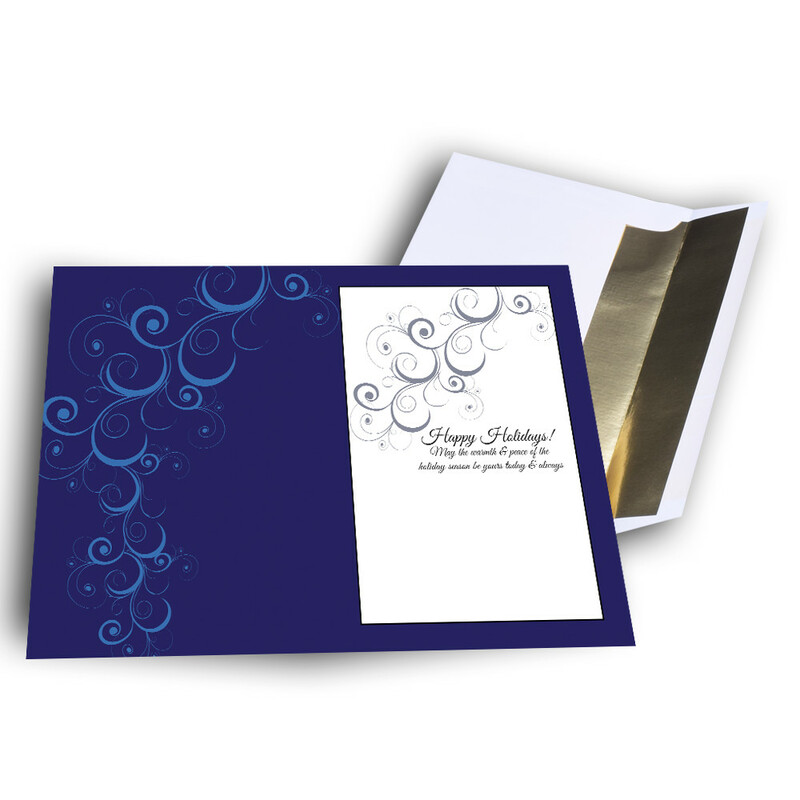 This message can be personalized to give the card an individual touch.